﻿Shortly ﻿after ﻿his ﻿arrival ﻿in ﻿New ﻿York ﻿for ﻿his ﻿1882 ﻿Lecture ﻿Tour, ﻿Oscar ﻿Wilde ﻿posed ﻿for ﻿a ﻿series ﻿of ﻿photographs ﻿taken ﻿by ﻿Napoleon ﻿Sarony, ﻿then ﻿the ﻿most ﻿famous ﻿portrait ﻿photographer ﻿in ﻿America. 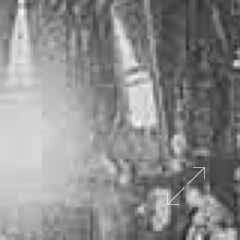 ﻿They ﻿were ﻿taken ﻿at ﻿Sarony's ﻿studio ﻿at ﻿37 ﻿Union ﻿Square, ﻿New ﻿York ﻿City ﻿on ﻿January ﻿5th, ﻿1882, ﻿and ﻿have ﻿become ﻿the ﻿most ﻿recognizable ﻿images ﻿of ﻿Oscar ﻿Wilde ﻿and ﻿the ﻿ones ﻿by ﻿which ﻿we ﻿most ﻿readily ﻿associate ﻿him ﻿with ﻿today. 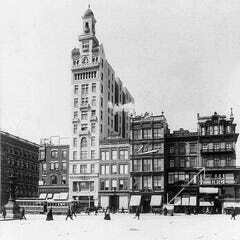 ﻿Wilde ﻿revisited ﻿New ﻿York ﻿in ﻿the ﻿late ﻿Summer ﻿of ﻿1883 ﻿when ﻿Sarony ﻿took ﻿several ﻿more ﻿photographs, ﻿this ﻿time ﻿with ﻿Wilde's ﻿hair ﻿cut ﻿much ﻿shorter. 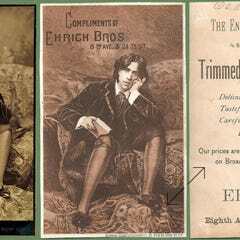 ﻿This ﻿archive ﻿is ﻿the ﻿only ﻿place ﻿in ﻿print ﻿or ﻿online ﻿where ﻿all ﻿known ﻿Sarony ﻿images ﻿of ﻿Oscar ﻿Wilde ﻿appear ﻿together. ﻿It ﻿is ﻿often ﻿cited ﻿that ﻿there ﻿27 ﻿Sarony ﻿photographs ﻿of ﻿Oscar ﻿Wilde ﻿from ﻿1882. ﻿Indeed, ﻿this ﻿is ﻿the ﻿number ﻿illustrated ﻿in ﻿Merlin ﻿Holland’s ﻿excellent ﻿little ﻿book ﻿The ﻿Wilde ﻿Album. ﻿[Henry ﻿Holt, ﻿1998]. ﻿However, ﻿the ﻿author ﻿was ﻿wise ﻿to ﻿note ﻿there ﻿were ﻿“at ﻿least” ﻿27 ﻿because ﻿the ﻿book ﻿ignores ﻿one ﻿of ﻿TWO ﻿photographs ﻿designated ﻿as ﻿number ﻿9. ﻿The ﻿two ﻿number ﻿9s ﻿are ﻿extremely ﻿similar ﻿and ﻿could ﻿easily ﻿be ﻿mistaken ﻿for ﻿each ﻿other ﻿if ﻿not ﻿viewed ﻿together. ﻿In ﻿one ﻿Wilde ﻿is ﻿holding ﻿a ﻿book ﻿and ﻿in ﻿the ﻿other ﻿he ﻿is ﻿not. ﻿They ﻿are ﻿included ﻿in ﻿the ﻿archive ﻿as ﻿photographs ﻿9A ﻿and ﻿9B. 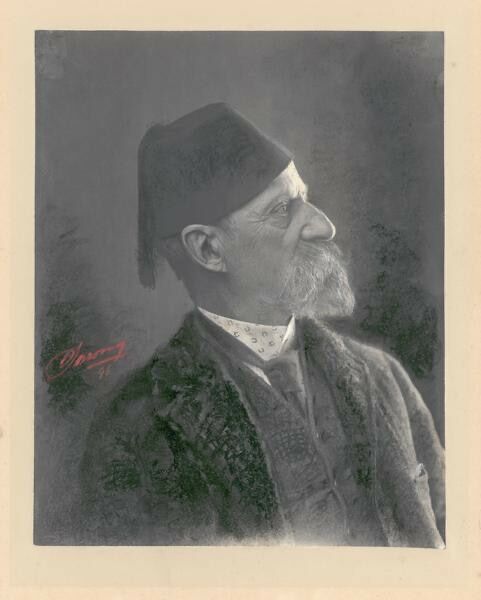 ﻿The ﻿additional ﻿number ﻿9 ﻿means ﻿that ﻿there ﻿are ﻿28 ﻿photographs ﻿from ﻿1882. 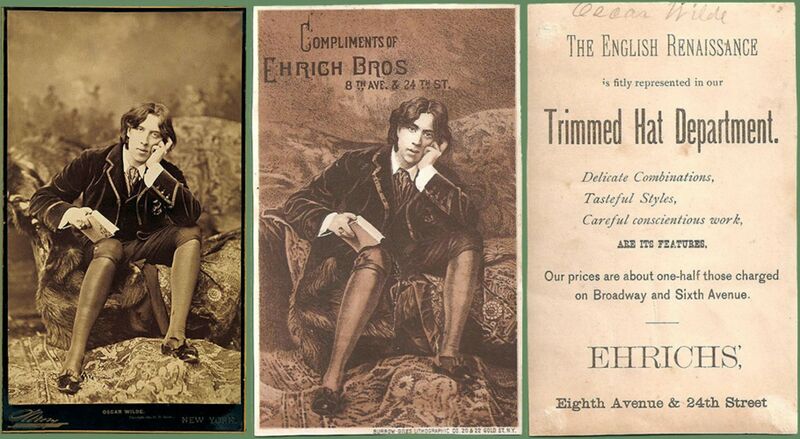 ﻿To ﻿these ﻿we ﻿can ﻿add ﻿three ﻿photographs ﻿taken ﻿by ﻿Sarony ﻿in ﻿1883 ﻿of ﻿Wilde ﻿with ﻿shorter ﻿hair. ﻿Therefore ﻿the ﻿currently ﻿known ﻿number ﻿of ﻿Sarony ﻿images ﻿of ﻿Oscar ﻿Wilde ﻿stands ﻿at ﻿31. 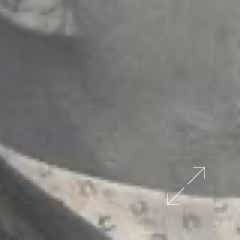 ﻿Included ﻿are ﻿the ﻿last ﻿four ﻿photographs ﻿(numbers ﻿24-27) ﻿which ﻿this ﻿web ﻿site ﻿postulates ﻿were ﻿taken ﻿at ﻿a ﻿later ﻿date. ﻿For ﻿more ﻿see ﻿Last ﻿Four. 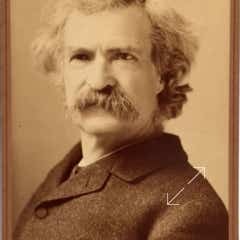 In a long career it is estimated that Sarony photographed 30,000 celebrities including Mark Twain, Walt Whitman, Tchaikovsky, and up to 200,00 members of the general public. 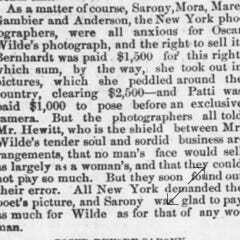 Typically, commercial photographers like Sarony paid celebrities for their image, and it has been asserted that Wilde waived this fee. This newspaper cutting suggests otherwise. 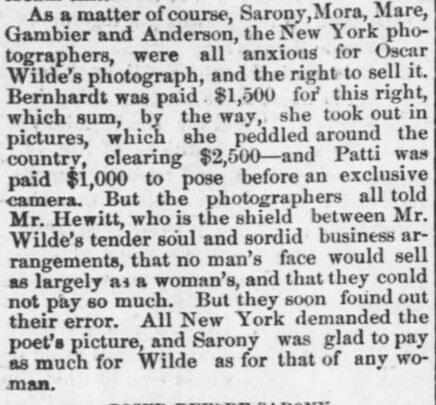 The Sarony picture of Wilde No. 18 plagiarized for a trade card. 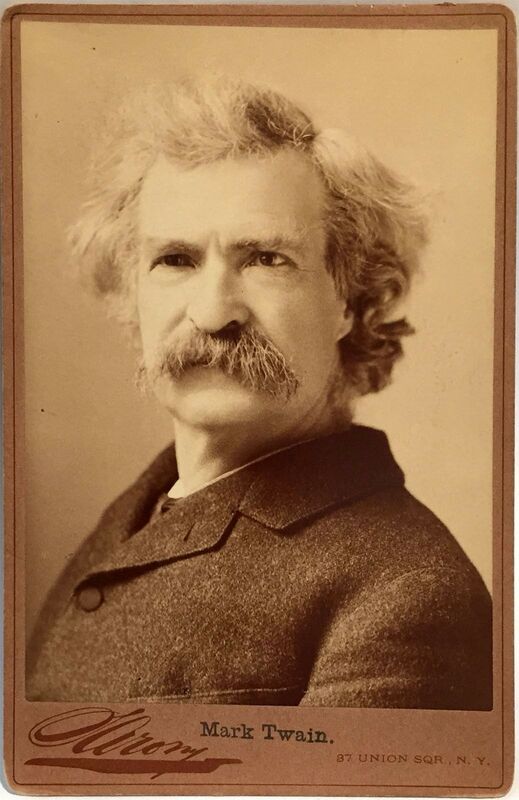 This led to a famous case in the Supreme Court that established the law of copyright for photographs. 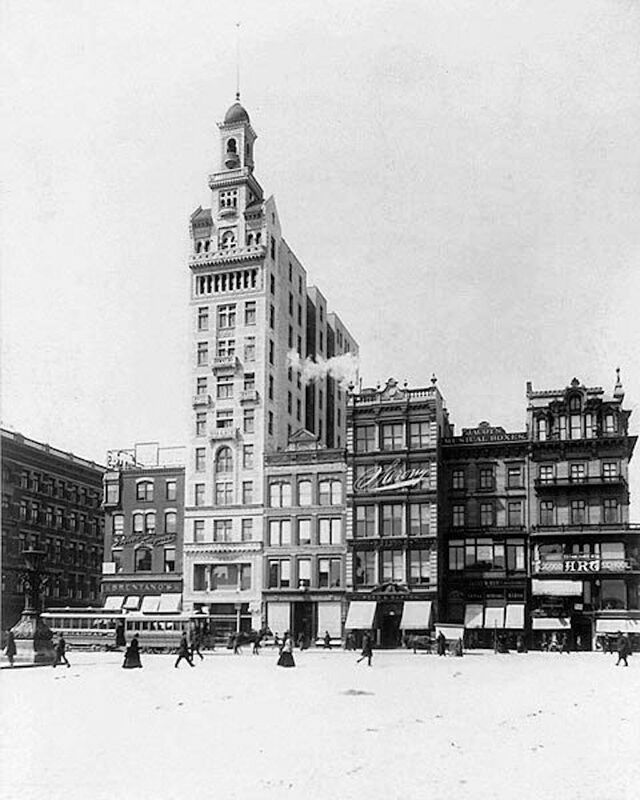 The building where Wilde’s pictures were taken located two buildings to the right of the tall Decker Building (extant). Note the familiar Sarony signature used as signage. Sarony rented the entire building at $8,000 p.a. Sarony was barely five feet tall. 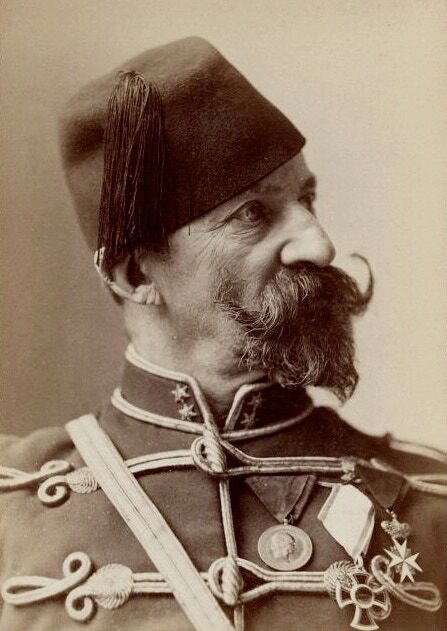 He wore his trademark red fez no doubt to enhance his stature. 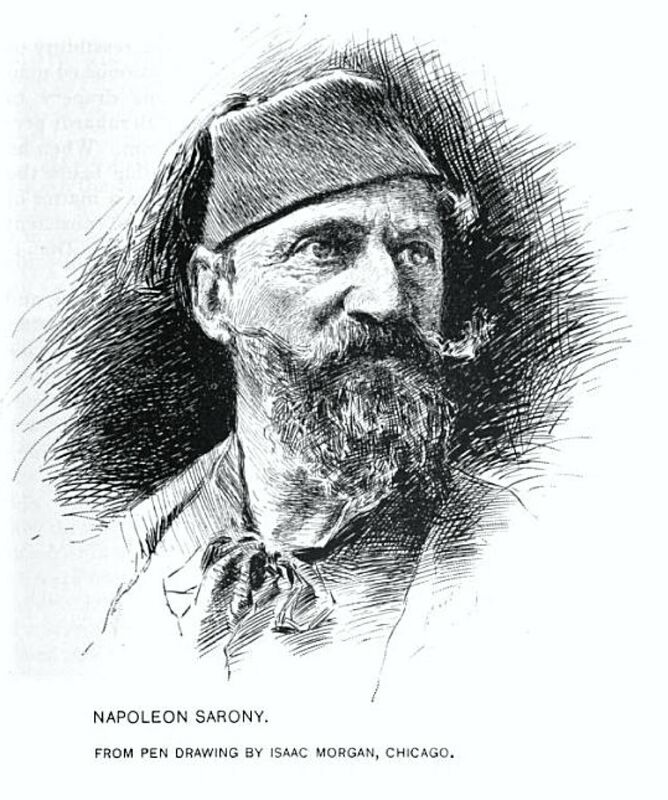 A pen sketch of Napoleon Sarony c. 1896. 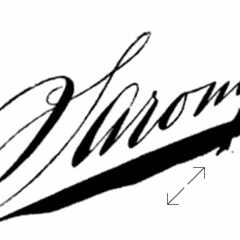 The familiar Sarony signature often seen on a the border of a cabinet card below the image. 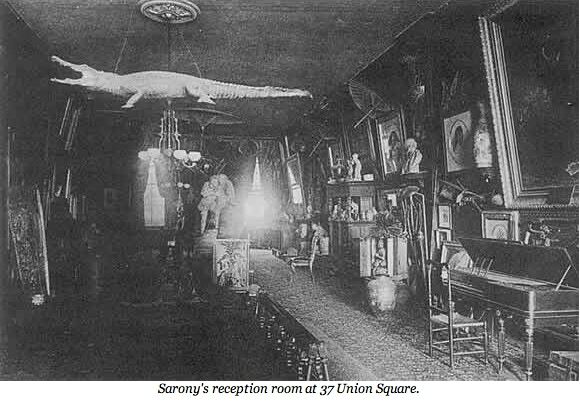 The entrance to Sarony’s studio was bizarrely decorated with mummies, pottery, sleighs, armor, idols, statues, draperies, and a stuffed crocodile. The art of posing is in not posing. The true pose is not a pose, but a natural position.